If the curated collections aren't quite what you need, design your own! Elopements are available during the off season and weekdays. Contact me for a custom quote if you're eloping! 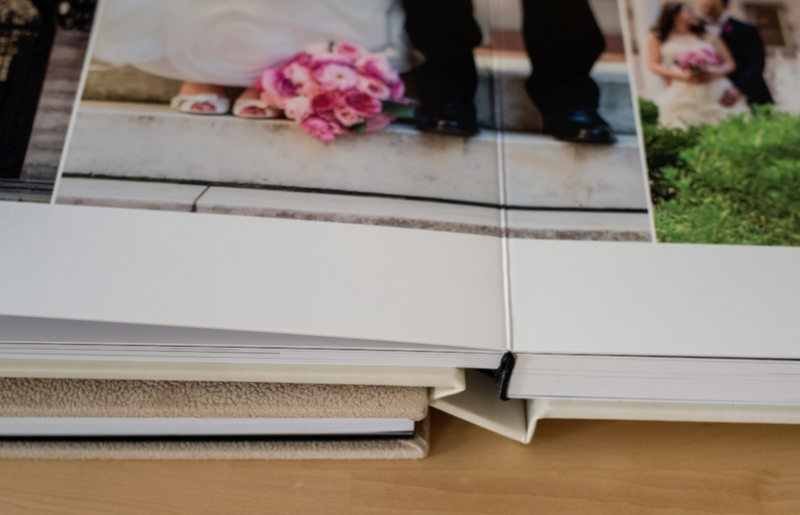 One of the best ways to make your wedding memories last is by ordering an album. These high quality professionally designed albums come in a variety of linen & leather colors. These aren’t the same albums your parents wedding photos came in. They’re modern, lay perfectly flat and look awesome on coffee tables. We can design it to match your personalities. From modern and classic to fun and whimsical, the options are endless! All albums must be prepaid before design begins. Albums typically take between 4 to 6 weeks to complete and include several rounds of revision. With the exception of printing errors, all albums are non-returnable. Albums may be ordered anytime before or after the wedding day. The holiday deadline for beginning an order is November 1st. A beautiful, modern online gallery you can share with your friends and family! Boutique, personal experience including a consultation, wedding guide magazine, and timeline drafting! Quick responses throughout the planning process. Usually within 24 hours! View your images for the first time at my consultation space complete with desserts and champagne!